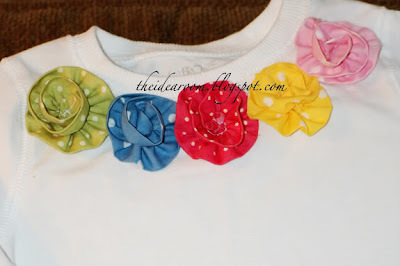 I love these fun, bright fabric flowers, but then to add them to a young girls t-shirt made them even cuter!! 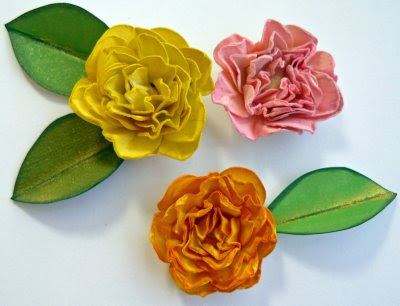 If you want to see how to create these for yourself, visit The Idea Room blog!! 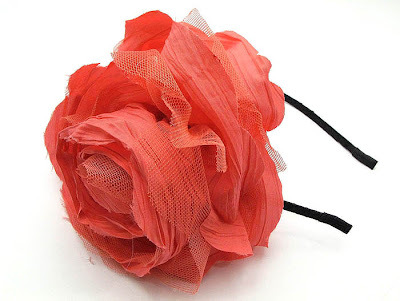 I'm not sure I've shared a fun site I enjoy checking out called "The Recessionista"...but they have the lovelist headbands I've ever seen and if my budget would allow it, I'd be ordering all of them. This is one of the newest and the yummiest! 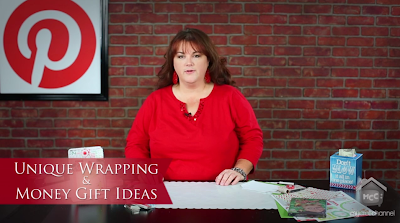 These darling banners seem to be all the rage for paper crafters everywhere, but I loved this quick tutorial to create one from 5x5" fabric squares. Click here to learn how. 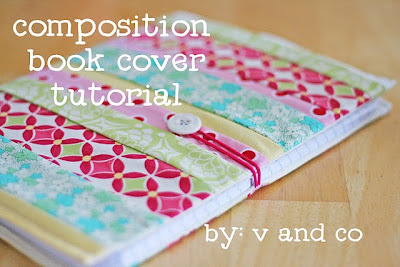 Loved this fun idea to cover a composition book and you can remove it and add it to another book when the book is done. Check out this fun tutorial here! 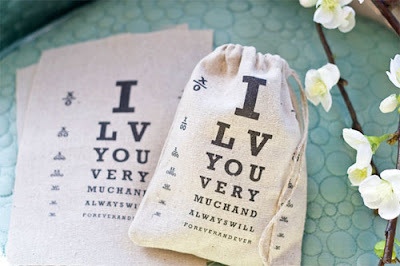 I've seen products similar to this, but loved what they did with it. 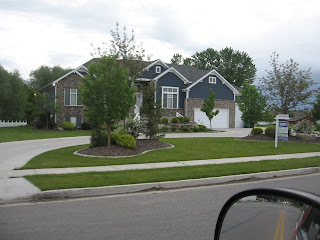 They even have a section on their blog to download designs. Skip to My Lou website featured this product and offered a great tutorial on how to use it and make this fun bag. Love the graphic, they have a link at the end of the post that tells you to subscribe to their newsletter and they'll send you a link to download it for free!! Can't wait to play with this! 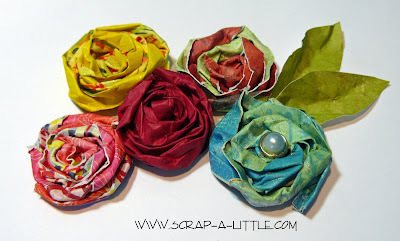 I was super excited to come across this blog...they actually show you step by step how to make these gorgeous paper roses!! 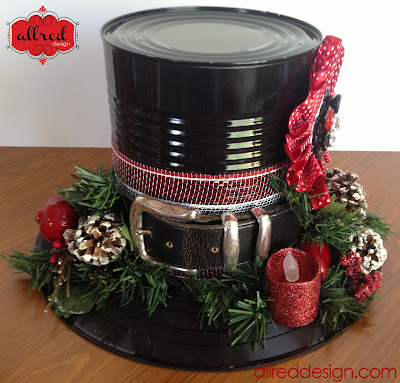 And the more I looked around, the more tutorials Helen had on her blog...love her! 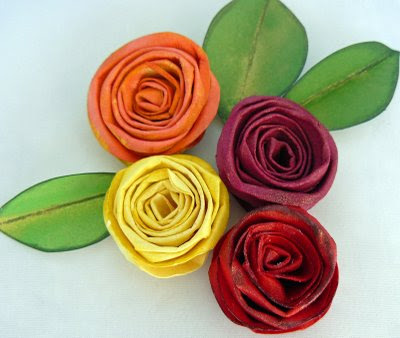 And she had another flower tutorial. 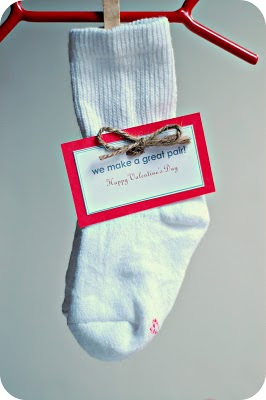 I thought this was one of the cutest ideas I've seen for Valentines and it's not too late to do it for yourself. Check out Saltwater Kids Blog for a free download of the tag!! Okay I have to admit I haven't made these (yet) but I wanted to remember the recipe I found on NoBiggie.net blog and thought if I posted it here I might find it easier. Bake @ 400 for 25 minutes until puffy, and then let cool. Spread over the top of crust. Refrigerate. 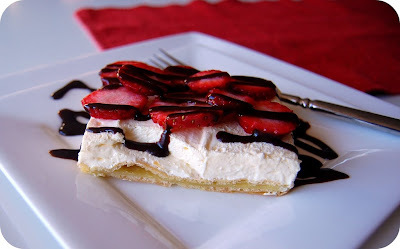 Serve with chocolate syrup and fresh berries. Is this the dessert you made? and I have been MISSING OUT by not following your blog. No more my friend! I'm on board!!!!! !